Move over “As seen on TV”, hello “As seen on Shark Tank”. Amazon launched a special Shark Tank collection showcasing products from the show. I think my favorite products are the overly specific ones like hair-ties for guys. Mentalist Oz Pearlman, America’s Top Talent finalist continues to wow audiences on live TV. This time it’s intuiting a recipe. Please tell me how he does it. Seriously, please tell me. Fashion is one of the dirtiest industries and tosses tons of disregarded scraps of cloth into the garbage. Nudnik is a Kickstarter project that wants to take these scraps and create unique shirts for kids. PS love the name! Howler popped up in my ProductHunt and it seems really handy – they offer aautomated PR campaigns to relevant journalists in your niche for a fraction of the cost of traditional PR agencies. Founder Amir Khella says he’ll release weekly UI recipes “to solve the time consuming problem of trying to find the top UI patterns and latest design trends for solving a specific user task (eCommerce, search, lists, sign-ups, etc.)”. Nice! Not sure I’d want to order cannabis-flavored ice cream but now the option is available just in case. The creator says it “tastes like the aroma of cannabis” but doesn’t actually contain any cannabis. Personally, I’m more of a coffee ice cream with hot fudge kinda person. Netflix’s Amazing Interiors is featuring a man’s 10,000 Gallon Reef Aquarium in his living room, just where you’d expect a TV to be. Facebook plans to run on 100% renewable energy by the end of 2020. Kudos! Maybe it will even help us forget about all the recent data breaches. Datacenter heat a good thing? A small town in Norway is experimenting with using heat generated by a new data center to warm homes and businesses. Love this idea! 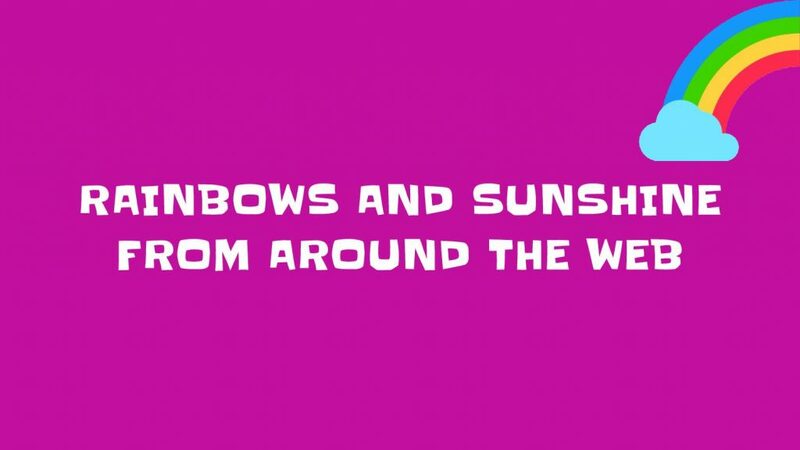 Want more #rainbowsandsunshine? Sign up for our newsletter below or email us at info@strattic.com.